Clackamas, OR (4/9/14) — Warn Industries is heading to Moab for the Easter Jeep Safari, a trip the company has been making for over 25 years. Moab has been a proving ground for WARN winches, hubs and other off-road products. Recently, WARN ran a promotion on their Facebok page (www.facebook.com/warnfans) to submit a story and photo of the fans rig to be able to join the WARN Social Media run during the week. A dozen lucky jeepers were chosen to join the core WARN crew, Jessi Combs and Shannon Campbell for a full day trail ride, including lunch and goodies. WARN will also be hosting two other days of trail rides, one for the media and the other for Friends of WARN including some of the WARN Red Letter Dealers. WARN technical and sales support will be available in their booth at the Vendor Show on Thursday and Friday, right inside the entrance to the main building. “We encourage everyone to stop by and view all of our amazing products including the most popular winch for Jeeps, the Zeon Winch,” said Warn Industries Vice President of Marketing Brendan Anderson. Jessi Combs, WARN’s spokeswoman and host of “The List: 1001 Things To Do With a Car Before You Die” and “All Girls Garage”, will be in the booth on Thursday from 1pm – 3pm and 10am – 12pm on Friday for autograph signings. Shannon Campbell, WARN’s sponsored driver, has many trophies and titles including being a two-time King of the Hammers winner. He will be in the WARN booth on Thursday from 10am – 12pm for autograph signings. 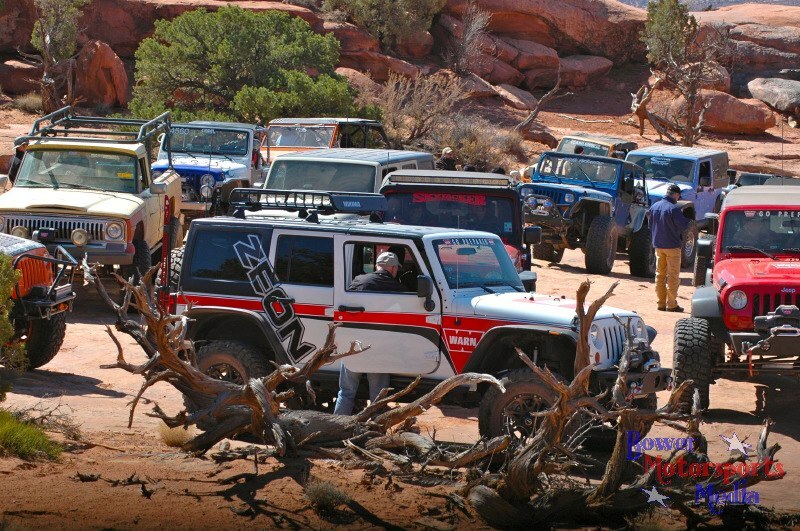 Easter Jeep Safari consists of trail rides departing from Moab, Utah through the week leading up to Easter Sunday. This event has been hosted since 1983 by the Red Rock 4-Wheelers, the main four-wheel drive club in Moab, but has original roots starting in 1967. Follow the WARN week in Moab at www.facebook.com/warnfans.